Lunch and Learn: Going Green in your office! Lunch will be provided but space is limited to the first 40 faculty and staff to register here on myUMBC. 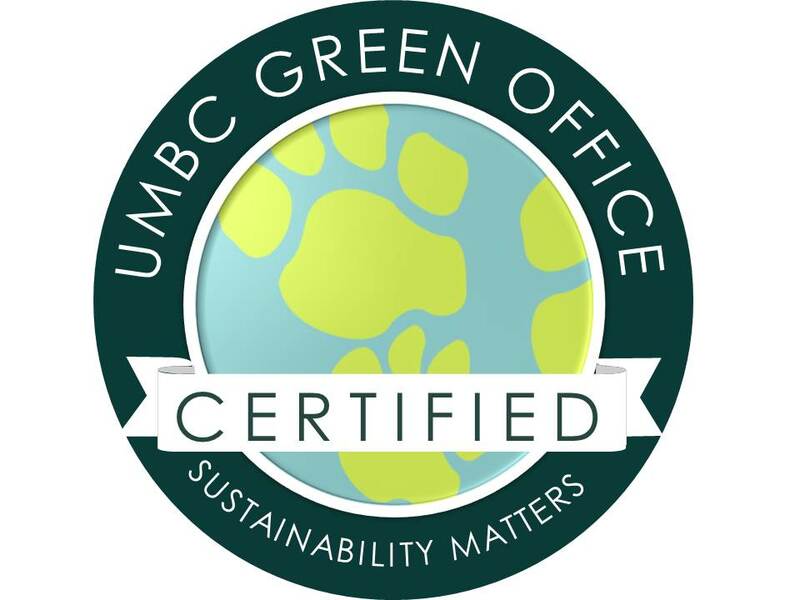 Join over 40 offices across campus who have already earned their Green Office Certificate, including the President's and Provost's offices! Update your office with recycling bins, helpful labeling and reminders, energy conservation guidelines and up to date efficiency settings. Inform your officemates about sustainable practices, and to invite them to select green commitments to adopt. Acting now pays off every day! Contact sustainability@umbc.edu to get started!